Preheat the oven to 170℃, Gas Mark 4. Line a 2lb loaf tin with grease proof paper. Drain the blackcurrants into a bowl, keeping the juice for the icing. 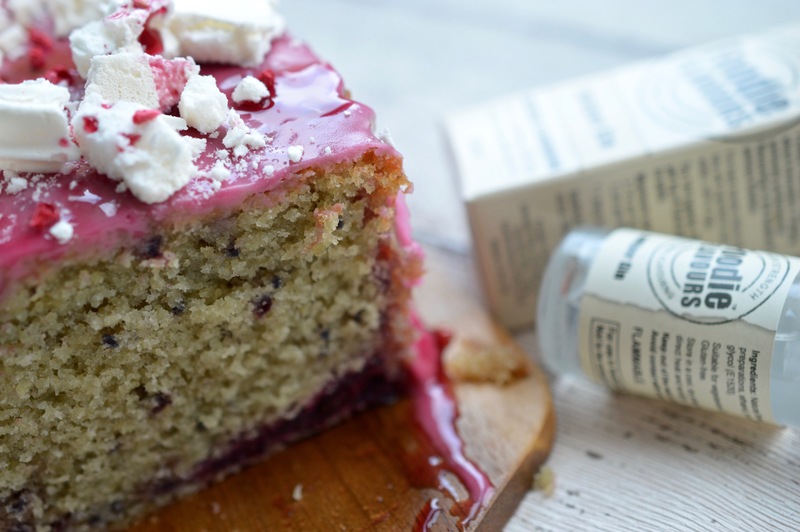 Place 10 drops of the gin flavouring into the blackcurrants, mix and leave to soak for 30 minutes. Meanwhile, place the butter and sugar inside a large mixing bowl. Use an electric whisk to beat them until light and fluffy. Add in the eggs and 50g of flour to avoid the mixture from curdling. Whisk together until well combined. Add in the remaining flour and baking powder and whisk until all the ingredients are well combined and smooth. Add in the blackcurrants and mix with a wooden spoon to avoid them from breaking up and bleeding into the mixture. Transfer the mixture into the prepared loaf tin and place in the oven for around one hour until the loaf is golden brown and firm. Once cooked, leave the loaf to cool in the tin completely. 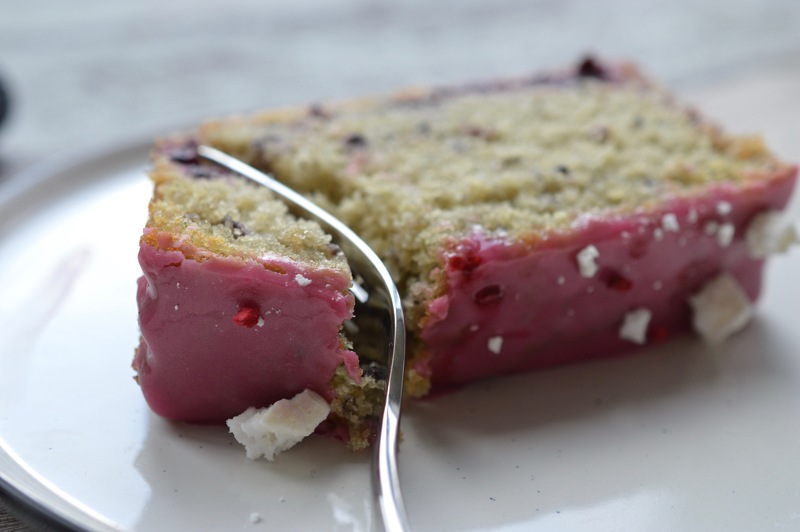 Whilst the cake is cooling, place the icing sugar into a small bowl and pour in the blackcurrant juice and gin flavouring. Whisk them together until you have a thick runny paste. When the cake is cooled take it out of the tin and remove the greaseproof paper. Place the loaf on a serving plate and then pour the icing on top, allowing it to drip down the sides. 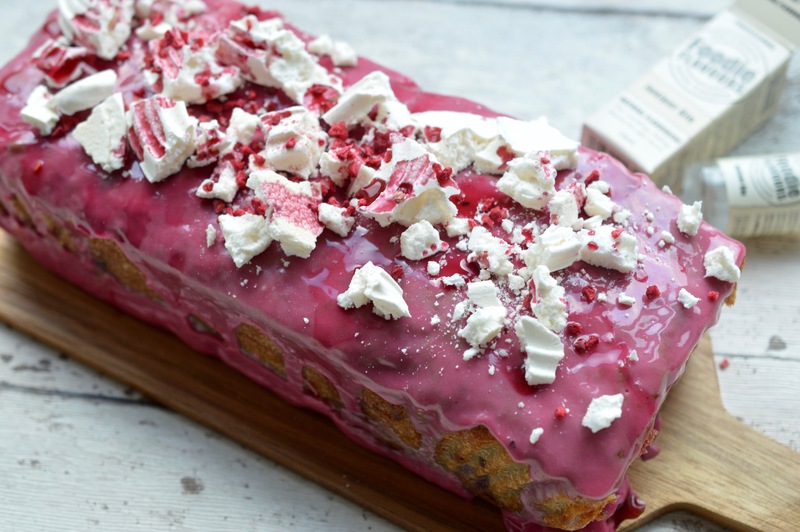 Crush the meringue into small pieces and sprinkle over the top of the loaf. 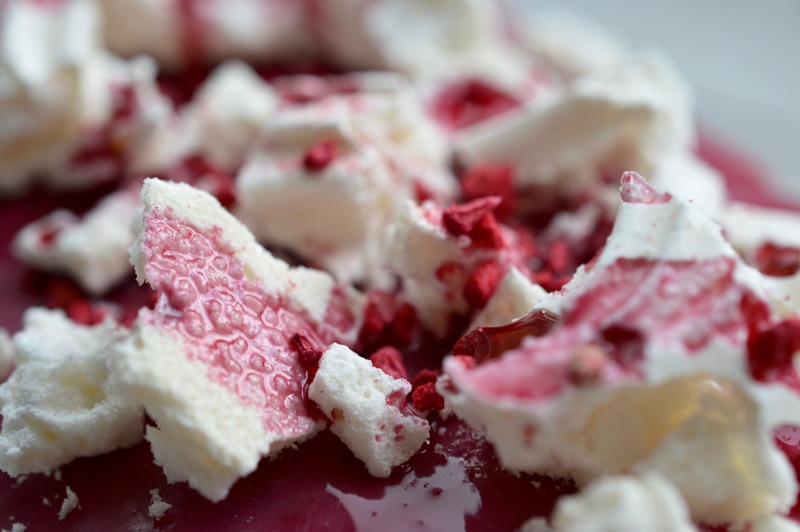 Scatter the freeze dried raspberries over the meringue and then finish off with a drizzle of blackcurrant juice. The loaf will keep for four – five days in an air tight container.